This certified organic specialty combines soft citrus notes with hints of dark chocolate, a full body and a delightful clean finish! 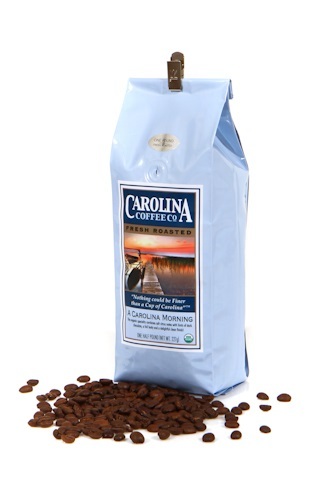 Bright enough to be a Carolina Morning and smooth enough to drink all day! Found this coffee at Corky's Store on the Island. I was so happy to have found "my" coffee! Love the mild, pleasant flavor! 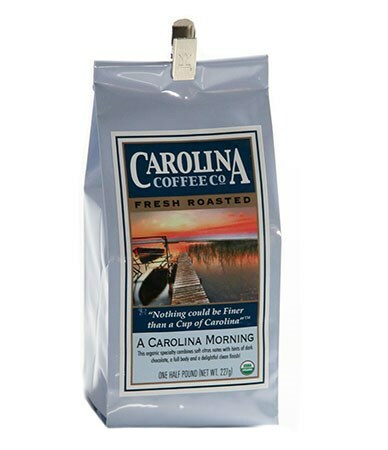 I tasted this coffee on Ocracoke Island where I purchased it from Corky's Store -- a truly delightful little shop, in a magical place.